Riverside County Bar Foundation, Inc. (the “Foundation”), a 501(c)(3) corporation and charitable arm of Riverside County Bar Association (“RCBA”) is holding a fundraiser on Friday, May 10, 2019. Members of the Leo A. Deegan Inn of Court are also members of RCBA and the Foundation. Several of its members are involved with Project Graduate. Riverside County Bar Association (RCBA) Barristers honors former Leo A. Deegan Inn of Court Judicial Master and Past President (2013-2014) Hon. Jackson “Jack” Lucky IV and current Leo. A. Deegan Inn of Court Attorney Master and Past President (2012-2013) Robyn Lewis at their Judicial Reception on May 2, 2019. Details are contained within the attached flyer. Team Franz Kafka presents its take on Snow White by The Brothers Grimm in The Magic Mirror and the Seven Privileges. Team Washington Irving discussed Jack and the Beanstalk by Joseph Jacobs in its presentation. The team members are Judicial Master Irma Asberry, Attorney Master Marlene Allen, Barrister Sylvia Choi, Barrister Chris Heikaus Weaver, and Associate Gareit Newstrom. Special guest John Boyd also presented with the team. Judge Asberry moderated the program, which focused on ethics, civility and professionalism when dealing with several scenarios involving the named partner of the firm (Mr. Ogre, portrayed by Mr. Boyd) who was sexually harassing young associates and experiencing dementia. Additional scenarios presented were Jack, a longtime associate of the firm, leaving to start his own firm, taking clients with him, and settling their cases without consent, as well as the Golden Hen padding her billing. Each team member portrayed characters within Jack and the Beanstalk, complete with a costume for the golden hen. After the presentation concluded, votes were cast as to how Team Washington Irving ranked for its presentation on Jack and the Beanstalk by Joseph Jacobs. Results of the votes will be announced at the September 2019 Meeting of the Leo A. Deegan Inn of Court. The April 24, 2019 Meeting will be our Inn’s final “Theme Night.” At this meeting, as part of the Inn’s professional outreach, Emeritus, Honorary Members and Alumni will be honored. Project Graduate is holding its Spring Fling fundraiser and seeking sponsors and attendees. Details are on the flyer on the back table. Team Washington Irving will be presenting on Jack and the Beanstalk. 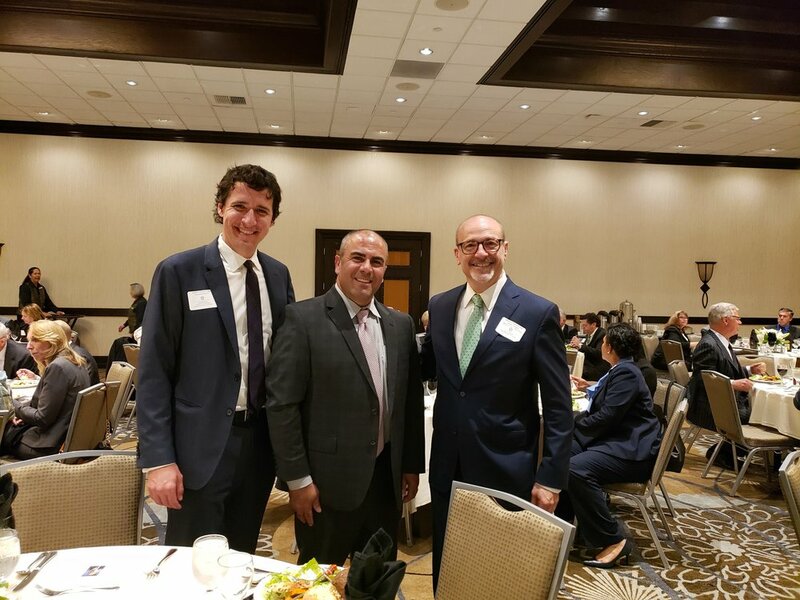 On March 26, 2019, the Honorable Joseph B. Campbell American Inn of Court (San Bernardino) hosted the Joint Meeting of the four (4) Inland Empire Chapters of the American Inn of Court. Members of the Leo A. Deegan American Inn of Court (Riverside), Warren Slaughter-Richard Roemer American Inn of Court (Desert), and Southwest American Inn of Court (Southwestern Riverside County) were present. Those present on behalf of the Leo A. Deegan Inn of Court were as follows: L. Alexandra Fong (Atttorney Master and President), Abram Feuerstein (Attorney Master and Member-at-large of the Board of Directors), Hon. Bambi Moyer (Judicial Master and President-Elect), Hon. Randall Stamen (Judicial Master), Mary Anne Forrest (Attorney Master), Chris Heikaus Weaver (Barrister), Diana Renteria (Barrister), Mark Mellor (Barrister), Peter Mort (Emeritus), Jean-Simon Serrano (Barrister), and Gabriel White (Barrister). Nick Hanna, U.S. Attorney for the Central District of California is the featured speaker. (L-R) Joseph Widman (Assistant U.S. Attorney for the Central District of California and President-Elect of the Honorable Joseph B. Campbell American Inn of Court). Hon. Antoine “Tony” Raphael (San Bernardino Superior Court Judge), and Abram Feuerstein (Assistant U.S. Trustee for the Region 16 of the U.S. Attorney’s Office, Central District of California and Member-at-large of the Leo A. Deegan American Inn of Court). Mr. Hanna spoke about the history of the Central District of California and the U.S. Attorney’s Office in this district. The Eastern Division of the district is larger than all other divisions combined and accounts for 25% of the population. The U.S. Attorney’s Office for the Central District of California is the second largest office in the country, only behind Washington DC. His priorities as U.S. Attorney include increasing the footprint of the Inland Empire by hiring new Assistant U.S. Attorneys for the Riverside branch office and increase filings in the region, hoping to spark an increase of U.S. District judges for this area. The Eastern Division of the Central District of California only has one full time U.S. District Judge so many of the cases are being heard in Santa Ana and Los Angeles, creating a hardship for witnesses. As U.S. Attorney, he created the National Security Division for the district, which started operations approximately two months prior to the terrorist attacks in San Bernardino. After his speech, Mr. Hanna answered questions from the audience, moderated by Jack Osborn, past president of the Honorable Joseph B. Campbell American Inn of Court. These questions related to the prosecution of crimes relating to marijuana usage (still an illegal substance under federal law), the office’s autonomy, the names of his operations (created by law enforcement), and other priorities. Team Washington Irving presents its take on Jack and the Beanstalk by Joseph Jacobs. The Honorable Joseph B. Campbell American Inn of Court (San Bernardino) will be hosting the Joint Meeting of the Inland Empire Chapters of the American Inn of Court on Tuesday, March 26, 2019. Details are in the flyer below. On January 29, 2019, during the lunch hour in Courtroom 54 of the Robert Presley Hall of Justice, located at 4100 Main Street, Riverside, California, Hon. Jacqueline Jackson, Hon. Bambi Moyer, and Hon Meredith Jury (Retired) presented the third, and final, Chamber Chats for the 2018-2019 program year. The Chamber Chats discussed methods to introduce evidence into your cases, hearsay exceptions, and methods of obtaining evidence (subpoena duces tecum and warrants). Plentiful handouts were provided: Hearsay Exception Quik Chart, Analyzing Character Evidence in Criminal Cases and The Criminal Law Evidence Matrix. Comparisons were made between the California Evidence Code and the Federal Rules of Evidence. 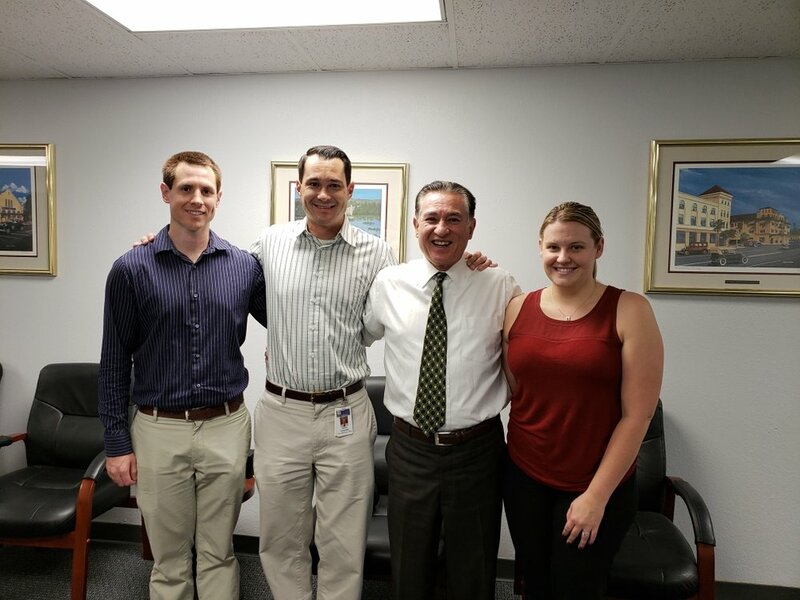 The members and potential member (law student intern) learned a lot about the subject. Thank you Hon. Jacqueline Jackson, Hon. Bambi Moyer, and Hon Meredith Jury (Retired) for your informative discussion! Team Erle Stanley Gardner discussed Cinderella by The Brothers Grimm in its presentation Cinderella: The Case of the Golden Slipper. The team members are Judicial Master Jacqueline Jackson, Attorney Master Mary Anne Forrest, Attorney Master Wendy Seto, Barrister Kelly Moran, Associate Everett Green, and Associate Michelanne Hrubic. Judge Jackson moderated the program, which began with Attorney Master Wendy Seto providing a press release concerning Cinderella’s lawsuit. Cinderella (Aschenputtel) was portrayed by Attorney Master Mary Anne Forrest. Barrister Kelly Moran provided comments as attorney for the County. Audience members (aka reporters) asked questions of the panel. The second vignette featured Associate Michelanne Hrubic, soliciting a potential action from Cinderella (Attorney Master Mary Anne Forrest). The attorney was paid $1500 to research issues involving Cinderella’s emancipation, by the Prince. After this consultation, Cinderella was advised that, in order to proceed with the paperwork, it would cost an additional $5000. When Cinderella said she was unable to pay that amount, she was given a business card for Legal Grinder and told to mention the attorney’s name when consulting with them. Questions were asked of the audience. The final vignette featured Associate Everett Green as a “counselor” at Legal Grinder. He assured Cinderella that all she had to do was answer questions in their proprietary software program to find out her next steps. When questioned about whether he was an attorney, Mr. Green replied he was not and that he was not practicing law since “the program” would be the one to provide advice. After the presentation concluded, votes were cast as to how Team Erle Stanley Gardner ranked for its presentation on Cinderella by The Brothers Grimm. Results of the votes will be announced at the September 2019 Meeting of the Leo A. Deegan Inn of Court. In addition to these public service attorneys, the Deegan Inn was delighted to welcome Emeritus Members Hon. Carol Codrington, Associate Justice of the California Court of Appeals, Fourth Appellate District, Division Two, and James Heiting, former President of the State Bar of California. The Joint Meeting of the Inland Empire chapters of the American Inns of Court, hosted by The Honorable Joseph B. Campbell Inn of Court is upcoming, with the date, time and location to be announced at a later date. As you may recall, Emeritus member David G. Moore passed away in August 2018 (see blog post dated August 22, 2018). The Leo A. Deegan Inn of Court donated $500 to the Semper Fi Foundation, in honor of our Emeritus member, as requested by his family. Team John Mortimer discussed Little Red Riding Hood by Charles Perrault in its presentation Who’s Afraid of the Big Bad Wolf? The team members are Judicial Master Ken Fernandez, Attorney Master Abram Feuerstein, Attorney Master and Emeritus Peter Mort, Barrister Joshlynn Pulliam, Barrister Gabriel White, Barrister K. Fredric Willis, Associate Laurie Burns and Associate Kiki Manti Engel. Prior to the commencement of their presentation, Attorney Master and Emeritus Peter Mort regaled the audience as Horace Rumpole of Rumpole of the Bailey, John Mortimer’s most famous work. Hon. Ken Fernandez led the discussion with a summary of the classic fairy tale, which does not have the happy ending that one is used to….in this fairy tale, grandmother and Little Red Riding Hood die. He summarized the three segments of the presentation, which were performed in teams of two to five. The first segment was A Glimpse Through The Looking Glass, a juvenile dependency detention hearing which occurred immediately after the events surrounding Red’s death. County of Mortimer’s Child Protective Services sought to detain Red’s sisters, Teenage Red and Preschool Red, from Mother Hood, who allowed her daughter to travel alone through the forest, where she met her untlmely death. Judicial Master Ken Fernandez, Attorney Master L. Alexandra Fong (a guest “team member" for this skit), Barrister Gabriel White, and Associate Kiki Manti Engel portrayed the attorneys and Mother Hood in this vignette. After this vignette, two commercials were shown with elements of Little Red Riding Hood - the first, a 1980s-era commercial for Sugar Free Dr. Pepper; the second, a 1990s-era commercial for Honey Nut Cheerios. The second segment was broken into two video clips. The first clip featured Barrister K. Fredric Willis and Associate Kiki Manti Engel, as they showed a client consultation, involving BB Wolf, Inc. dba A Place for Grandma, a nursing home where grandmother was staying. The second clip featured Attorney Master Abram Feuerstein, Barrister K. Fredric Willis and Associate Kiki Manti Engel as they discussed the difficulties they face when dealing with unpopular clients in their practice. A third commercial was shown, featuring an alarm called “Wolf Alert.” This commercial was voiced by Attorney Master Abram Feuerstein and featured Little Red Riding Hood and Grandma. The third segment of the presentation discussed aggravating and mitigating factors that went into determining a prison sentence for a crime that had an indeterminate sentence. The audience was to assume that Red and Grandma survived and the Big Bad Wolf had been convicted of physical elder abuse and assault with the intent to commit great bodily injury. Fabulous prizes were handed out to those audience members who were able to correctly identify aggravating and mitigating factors. After the presentation concluded, votes were cast as to how Team John Mortimer ranked for its presentation on Little Red Riding Hood by Charles Perrault. Results of the votes will be announced at the September 2019 Meeting of the Leo A. Deegan Inn of Court. 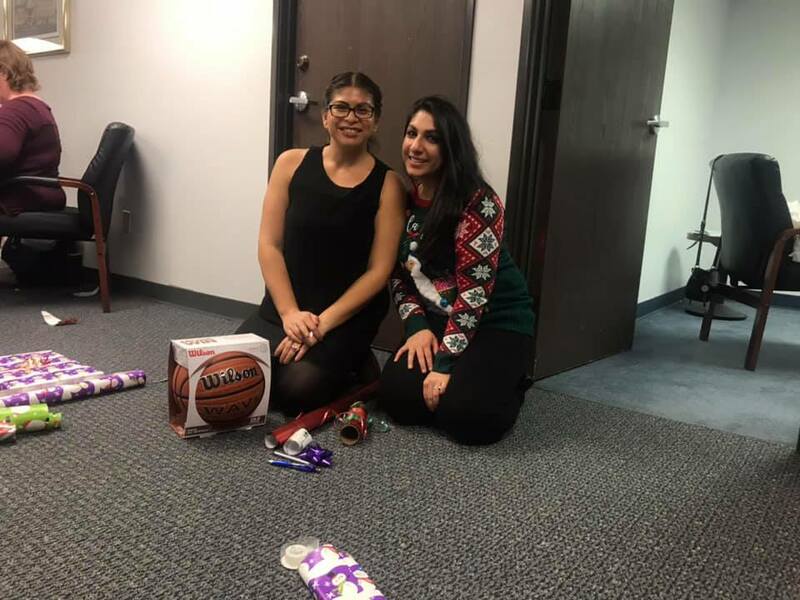 Ms. Fong also reminded members of the Riverside County Bar Association’s Elves Program, which raises funds for needy families for the holidays. 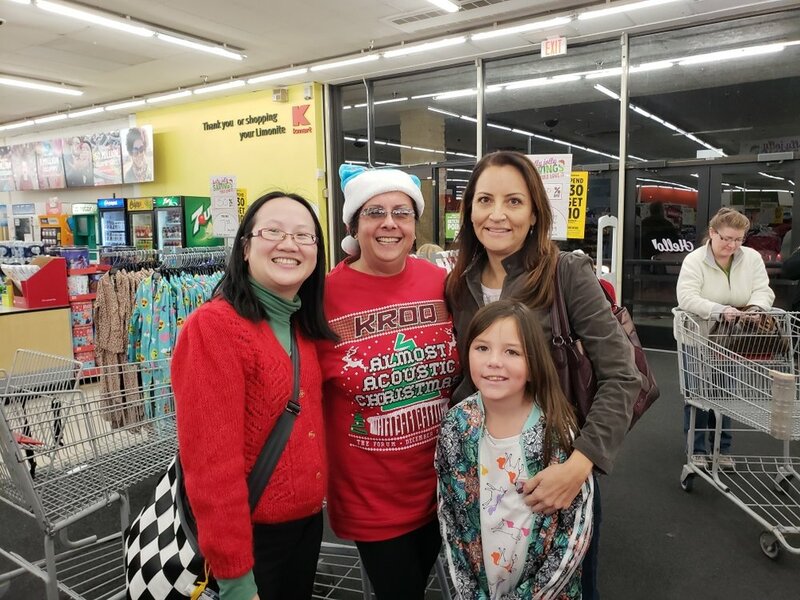 Shopping for presents occurs on Monday, December 10, 2018 at the K-Mart on Limonite Avenue, Riverside, California, starting at 6 p.m. Wrapping presents occurs on Wednesday, December 12, 2018 and Thursday, December 13, 2018 at RCBA, 4129 Main Street, First Floor (Board Room), Riverside, California, starting at 4 p.m. Delivery occurs after December 14, 2018. Any inquiries regarding the Elves Program should be made to RCBA at rcba@riversidecountybar.com. The Leo A. Deegan Inn of Court presents Who's Afraid of the Big Bad Wolf? Team Henry Fielding discussed Rapunzel by The Brothers Grimm in their presentation Rapunzel: A Hairy Tale. The team members are Judicial Master Randall Stamen, Attorney Master Stefanie Field, Attorney Master Eric Keen, Barrister Mark Mellor, Barrister Jean-Simon Serrano, Associate Kristine Borgia and Associate Traci Luis. Hon. Randall Stamen led off the discussion with a presentation about their team namesake and an introduction into the classic fairy tale…it really is as grim as one would expect from The Brothers Grimm. Three vignettes were performed in teams of two to three members. The first vignette found Barrister Jean-Simon Serrano as The Witch from Rapunzel with flowing red hair and the typical witch’s hat, with a conical crown and a wide brim. The Witch consulted with Barrister Mark Mellor about options in connection with various letters received from the county, while this attorney made sexual advances towards The Witch. Members of the audience were involved in the discussion. The second vignette showcased Attorney Master Stefanie Field and Attorney Master Eric Keen (who will take his oath of office as a judge on October 25, 2018). They were engaged in a pre-trial conference, discussing how to get evidence obtained illegally (a recorded conversation between The Witch and Rapunzel’s birth mother) into the criminal case involving The Witch. Members of the audience were involved in the discussion. The third vignette involved Barrister Jean-Simon Serrano, Associate Kristine Borgia and Associate Traci Luis. In this vignette, Mr. Serrano was The Prince, being deposed by The Witch’s attorney, Ms. Luis, who was being obstructed with every question posed by The Prince’s attorney, Ms. Borgia. A discussion was held as to what types of sanctions could be imposed upon the parties for their conduct at the deposition. Members of the audience were involved in the discussion. After the presentation concluded, votes were cast as to how Team Henry Fielding ranked for its presentation on Rapunzel by The Brothers Grimm. Results of the votes will be announced at the September 2019 Meeting of the Leo A. Deegan Inn of Court.